Surgery is the process of providing treatment through an opening in the body. Traditionally, this has meant making an incision and performing a procedure, or examining the affected part of the body, through that incision. Surgery has changed significantly in the last few decades, so much so that some surgeries no longer require incisions, and that rapid progress can leave patients feeling confused by the new and overwhelming amount of information that is available. Inpatient Surgery: This is a procedure performed in the hospital with the expectation that the patient will stay overnight for at least one day. Outpatient or Same-Day Surgery: The procedure is performed in a hospital or surgery center with the expectation that the patient will go home after waking completely from anesthesia. Minimally Invasive (Laparoscopic) Surgery: This is a newer surgical technique where several small incisions are made, instead of the traditional surgical approach where one long incision is used. This type of surgery usually requires a shorter recovery period than the same procedure using the large incision. Open/Traditional Surgery: The traditional approach of using a single, full-length incision to perform a procedure. Robotic Surgery: A robot is used to perform surgery, with a surgeon guiding the robot’s “hands.” This technique is used most frequently when even tiny movements of the hand can change the outcome of the procedure, as the robot’s “hand” is steadier than the human hand. Elective Surgery: This is a surgery that is not required for medical treatment. Elective surgeries are done by choice and may be purely cosmetic, or life-improving but not absolutely necessary. If you are contemplating surgery, you or someone you love may have a medical need for a procedure, or you may be unsatisfied with your appearance. You may be experiencing pain that can be relieved with a procedure, or your life may be lengthened with surgical intervention. These reasons lead people to have surgery every day. For patients who are not sure they want surgery, a second opinion is a wonderful thing. This, of course, involves talking to a second surgeon to see what he or she recommends as treatment. It may seem illogical to see a surgeon about not having surgery, but for someone who wants to avoid surgery at all costs, talking to a surgeon may be more about exploring alternatives than planning a procedure. The good news for surgery patients, whether they want to have surgery or prefer an alternative, is that Medicare, Medicaid, and most insurance plans will pay for a second opinion. For patients who truly do not want to have surgery, saying no is absolutely appropriate. There are times when a procedure may have benefits, but the patient is unwilling to undergo the procedure for his or her own reasons. Saying no to surgery is the right of every patient, and while it may lead to disagreements with family and friends, the decision belongs to the patient in the end. For others, taking a less invasive approach may be preferred. Many patients view surgery as a last resort, rather than their first choice in treatments. For these patients, physical therapy, medication, lifestyle changes, and other types of interventions may be preferable. Preoperative is the phase that starts with contemplating surgery and lasts until the procedure. The operative phase is the procedure itself, from entering the operating room until leaving. The postoperative phase begins when the surgery is completed and the recovery begins. The term perioperative refers to the entire surgery experience and includes all three phases. The preoperative phase, or time prior to your procedure, is your best opportunity to plan and prepare to have the best possible outcome from your surgery. This is the period when you spend time researching the best surgeon for your condition, making sure to select the physician who is best able to perform your surgery. You will meet with your surgeon and anesthesia provider. This is when you will be given an opportunity ask the questions that you need answered to make an educated decision after learning about the risks of surgery. You can discuss the type of anesthesia you will receive, the risks of that anesthesia, who will be providing it, where surgery will be done, and what you can expect to experience during your recovery. This is also when you will explore alternatives to surgery and determine if surgery is the right choice for you. You will also need to take the time to prepare financially for your procedure, making sure you are making the most of your insurance coverage, preparing for leave from work, and making sure that you are ready to take time away from work with or without pay. You can work with the hospital or surgery center to determine the expected cost of the procedure, making sure to include any hidden costs that may not be included in the initial bill—such as anesthesia—are taken into account. Your insurance may pay a higher percentage of the bill at one facility and less at another; don’t hesitate to call your insurance provider and inquire about percentage rates of coverage. If you do not have insurance, you will need to work closely with the hospital and surgeon to make financial arrangements. For some, surgery may require emotional preparation. Some patients don’t have the need to develop coping skills to deal with the demands of surgery, but others need to work to ready themselves for the surgery itself, as well as the recovery phase. Children often need help preparing for surgery in a way that does not lead to fear and anxiety, and that is appropriate for their age and ability to understand health information. Aside from choosing the right surgeon, preparing physically may be the most important thing a surgery patient can do to impact how successful the surgery is and how quickly the recovery phase ends. This means optimizing one’s health in every possible way. From quitting smoking to doing routine exercise and improving control of diabetes, going into surgery as healthy as possible can mean shorter hospital stays, better long-term success, and a faster return to routine activity. This is also the time to prepare for the return home from surgery. This may not be a concern for individuals having a minor outpatient procedure, but for people who will be leaving on crutches or spending several days in the hospital, planning for recovering at home before the procedure will mean a much easier recovery. Your planning will be unique to your needs. For some, it means finding a dog sitter; for others who have lifting restrictions, it will mean finding someone to help them carry things; someone with a driving restriction will need help running errands. This part of surgery is about anesthesia and the actual surgical procedure. This phase begins when you enter the operating room and ends when the procedure is finished and anesthesia is stopped. Your planning will pay off in the operative phase when the surgeon who is an expert in providing the care you need and the anesthesia provider who understands your unique needs perform your procedure. This phase begins when your procedure ends. 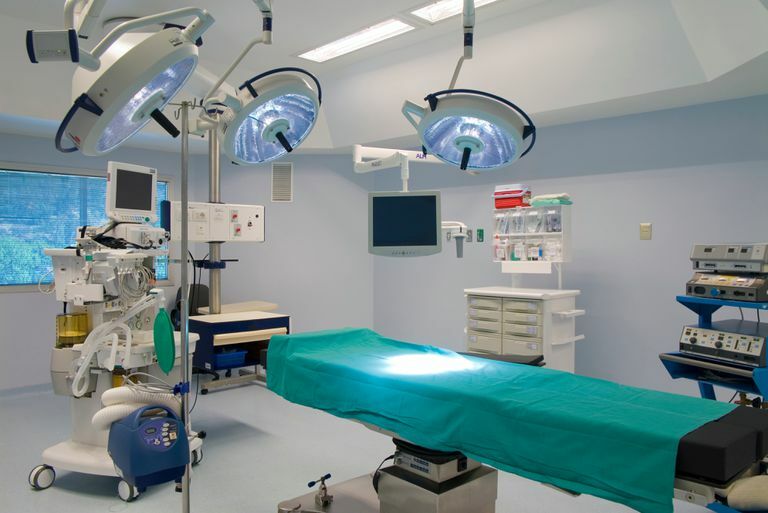 You will be moved to the area of the facility where you will recover from surgery, where many are surprised to find out that the procedure has been completed. This phase continues until you have recovered as much as possible from surgery. For some that means going home and taking a nap; for others, rehabilitation in the form of physical therapy and occupational therapy may be needed. The big concern that most patients express before and after surgery is the fear of experiencing significant pain after the procedure. Pain management is typically handled by the surgeon, and while pain is often present after surgery, there are many ways to deal with, prevent, and treat pain that can dramatically improve your experience. Surgical pain is typically managed by the surgeon, who will provide prescriptions (if necessary) and recommendations for pain relief when the patient is being discharged. Pain is a tricky thing, and adequate pain relief is important for preventing pneumonia, a common complication after surgery in patients who avoid coughing due to pain. There are other common issues after surgery, such as constipation, most of which can be avoided. Know where you plan to recover. For some, a stay at a rehabilitation facility for physical therapy and occupational therapy is planned; for others, a stay at a loved one’s home for a few days is all the help they need. Knowing how long your recovery will take and where it is likely to take place will help with anticipating the assistance that will be required. The goal after surgery is typically to return to the same function you had prior to surgery, or even better function. An individual who avoided walking due to pain may find themselves taking long walks after recovering from knee replacement surgery, and cataract surgery patients may find themselves reading more books. A second opinion before surgery. medicare.gov.